8MM Old home movies transferred to DVD. Channel one media recognize the importance of your family’s history and the remarkable role that home movies have played in the lives of our clients! We’ve heard some awful stories of some companies sending out their transfers to other states and even other countries!! Nothing leaves our company. One of questions people are anxious about before transferring is getting their film in the correct chronological order, if the date and event are not written on the reels. This is not a challenge for channel one media. We offer editing options. Bring your past in the digital “reel” world! Media Transfer is very important to us. Creating a memory for the ages, if it’s one copy or one hundred copies we can fulfill the project in a timely fashion. Let us know when your deadline is and we will have the project ready! Having others refer our company is a testament to our work and standards. Families, Schools, Historical Societies, Community Groups, Sports Teams have all used our services to take the memories to future generations. 8mm & 16mm media transfer is brought to us daily. Be it a small project or a very large project, we have seen hundreds come in through our studio. Customer service is very important to us, making the client happy and seeing them later with a story of the work is what makes us smile. 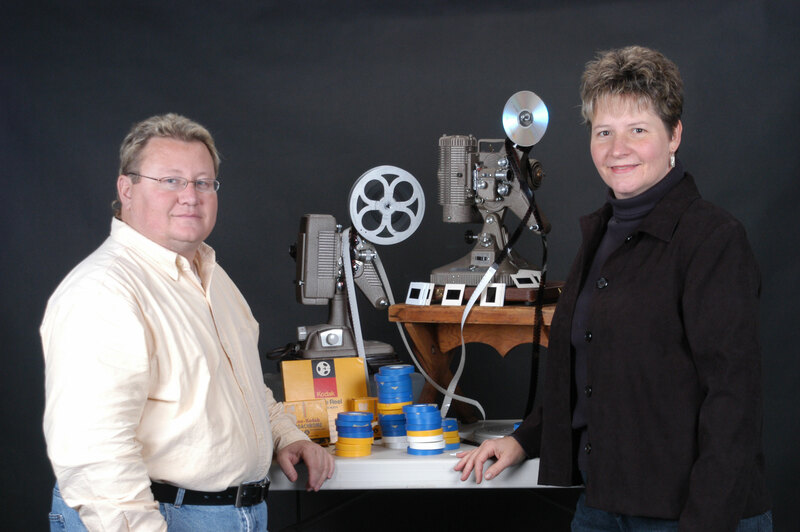 We transfer old 8MM Movies, Photos, Slides and VHS Tapes to DVD. We also offer, Photo Booth Rentals, Photography & Video Services including: Aerial drone footage. Our one of a kind Legacy Films, are a must for every family. You can have us just produce small elements of your project or return the whole thing over to our creative staff. Either way we use the best equipment and the best staff to help you make memories that will last a lifetime!. Today’s technologies allow you to experience your family’s memories in a unique and exciting way. You’ll enjoy reliving your memories …it’s just a simple click away. see what other customers are saying about us, and learn more about our custom services and pricing. Call us now so we can talk about your projects and get to know you and what services you’re looking for. Ready to get started? Simply call, click or walk on in, we are ready to serve you. If you prefer to communicate via email, simply complete our contact form & we’ll contact you at your convenience. You’ll enjoy reliving your memories …its just a simple click away. If you prefer to communicate via email, simply complete our contact form, & we’ll contact you at your convenience.